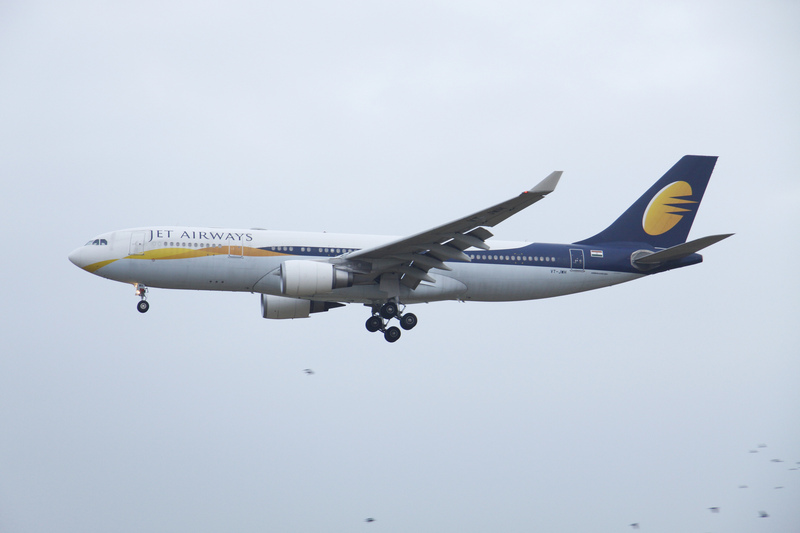 Continuing its commitment of providing guests with greater choice, convenience and further strengthening its global footprint, Jet Airways – India’s full-service, premier international airline, today announced the introduction of its third, non-stop, daily service between Mumbai and London Heathrow. Effective October 29, 2017, and as part of the airline’s forthcoming Winter schedule, the new daytime service – 9W 116 will depart from Mumbai at 0905 hrs.to arrive in London Heathrow at 1335 hrs. (Local time). On its return, the planned departure for 9W 115 from London Heathrow is at 1530 hrs. (local time), arriving in Mumbai at 0555 hrs., giving guests a head start to their day in India’s economic capital. Air travel between India and the United Kingdom has shown a steady annual growth of nearly 10 percent over the last few years. The new flight will boost Jet Airways’ passenger and cargo capacity between India and the United Kingdom by almost 33 percent, allowing the airline to capitalise on the growing round-the-year demand being witnessed from EU and non-EU countries to India and other emerging economies, on the back of fast expanding relationships in the areas of trade, commerce, tourism, culture, and, education. The third frequency enhances onward connectivity over London Heathrow to North America with partners Delta Air Lines and Virgin Atlantic. Jet Airways will now offer improved connection time and 13 destinations over London Heathrow to North America including Atlanta, Boston, Detroit, Los Angeles, Miami, Minneapolis, Newark, New York, Philadelphia, San Francisco, Seattle, Salt Lake City and Washington (Virginia). Jet Airways, nominated by TripAdvisor as “India’s Best Airline1” will deploy the biggest aircraft in its fleet – Boeing 777-300ER, offering a three-class configuration that includes the airline’s award-winning ‘First Class’ private suites, 180° lie-flat beds for Business travellers as well as comfortable and ergonomic designed Economy seating, on the new frequency. Guests will also be able to choose from a carefully-curated menu of delectable international cuisine and experience our cutting-edge in-flight entertainment system, all delivered with the airline’s trademark touch of warm and endearing Indian hospitality. With this new service, guests flying Jet Airways, from London (Europe) to Singapore (South East Asia) will experience the ‘Joy Of Flying’ in the form of a uniform Boeing 777 experience. This will also expand cargo capacity and promote greater access, right from India, SAARC and ASEAN region to London Heathrow facilitating carriage of commodities such as perishables, pharmaceuticals, engineering goods, garments & fabrics, seasonal flowers, packaged foods, specialized medical equipment and supplies.